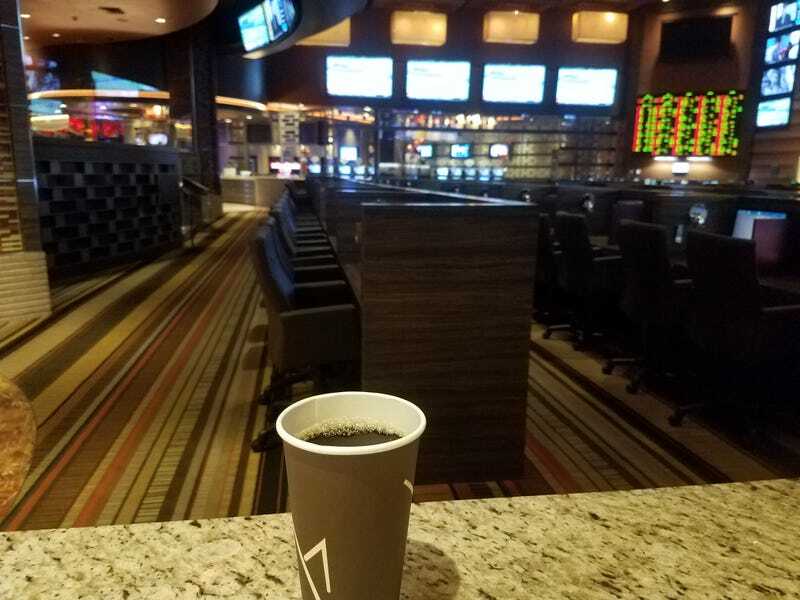 Technically, empty sports book, watching highlights. Insomnia strikes. Have been up since 4, got bored so I came downstairs for coffee.